We have found this full growing hydrangea is a very early blooming paniculata. Like all paniculatas, the blooms begin creamy white but turn pink (and then RED!) as the bloom ages. 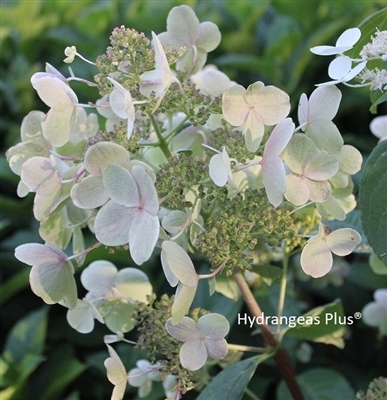 We usually see the blooms forming when macrophylla just begins to get color in the sepals (by end of June). This is a great addition for all year interest!